Mathematical modelling of chemotaxis (the movement of biological cells or organisms in response to chemical gradients) has developed into a large and diverse discipline, whose aspects include its mechanistic basis, the modelling of specific systems and the mathematical behaviour of the underlying equations. The Keller-Segel model of chemotaxis (Keller and Segel in J Theor Biol 26:399–415, 1970; 30:225–234, 1971) has provided a cornerstone for much of this work, its success being a consequence of its intuitive simplicity, analytical tractability and capacity to replicate key behaviour of chemotactic populations. One such property, the ability to display “auto-aggregation”, has led to its prominence as a mechanism for self-organisation of biological systems. This phenomenon has been shown to lead to finite-time blow-up under certain formulations of the model, and a large body of work has been devoted to determining when blow-up occurs or whether globally existing solutions exist. In this paper, we explore in detail a number of variations of the original Keller–Segel model. 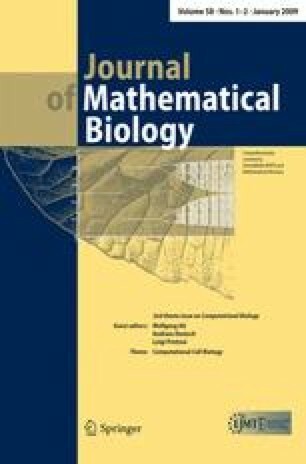 We review their formulation from a biological perspective, contrast their patterning properties, summarise key results on their analytical properties and classify their solution form. We conclude with a brief discussion and expand on some of the outstanding issues revealed as a result of this work. T. Hillen was supported by NSERC and K. J. Painter was partially supported by NIH Grant CA113004.